Situated above, below and in the clouds, Dantica is the heart of the Cloudforest. 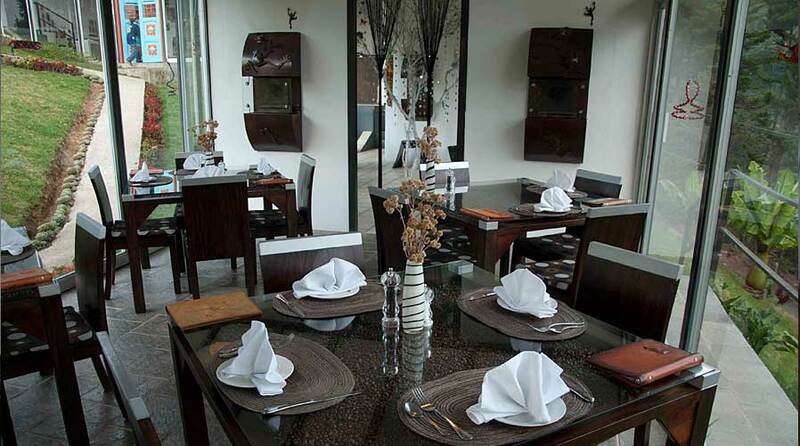 High in the hills, surrounded by cloudforest, the lodge has been built in a breath-taking location. With 5 km of walking trails throughout the reserve many birds, including quetzals, fly around and you may be lucky enough to see a tapir. There are 10 bungalows in this 20 hectare private reserve. 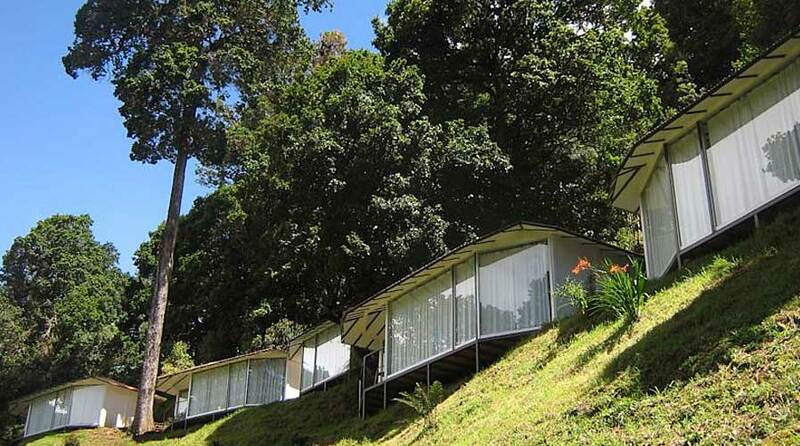 Each has a private terrace, large windows and glass walls giving you a spectacular view over the valley and primary cloud forest from each bungalow – you almost feel as though you are in the forest. All the bungalows are equipped with comfortable queen-sized beds and goose-feather duvets, mini-bar and coffeemaker, satellite television, Jacuzzi, ethanol fuelled fires, hair dryers and safe deposit box. At the new restaurant, Le Tapir, you can enjoy breakfast à la carte, as well as lunch or dinner with tasty wholesome dishes on offer. All the food is prepared with fresh herbs from the organic herb garden. There is also an on-site gallery where you can view and purchase stunning art and handicrafts from Costa Rica and other Latin American countries. We have WIFI high speed internet service in all our Bungalows, and offer parking lots, playground for children, laundry service and tour packages with a certified bilingual guide. Why go to Dantica Cloud Forest Lodge? Dantica Cloudforest Lodge is an eco-boutique hotel high in the clouds. The unique location, large glass walls in the bungalows and private verandas allow you to experience and enjoy the cloudforest in its purest form. 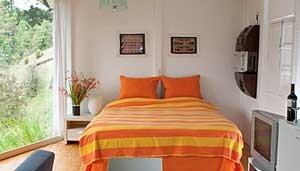 The hotel offers fantastic personal service to all guests and promises a friendly and welcoming stay. This is the perfect place, off the beaten track, to explore this beautiful area. There are over 125 bird species, many of them endemic, and 52 mammal species that can be found in and around this private Forest Reserve, mainly consisting of primary upper montane cloudforest. Since most of the bungalows are inside the forest, you can see many animals from your room. The large mammals are very difficult to see at these altitudes, but species as the emblematic tapir (danta), cougar and even jaguar have been spotted. The legendary resplendent quetzal is found here, this bird is sacred for the Maya and Aztec civilizations and it is considered by many to be the most beautiful bird in the Americas. 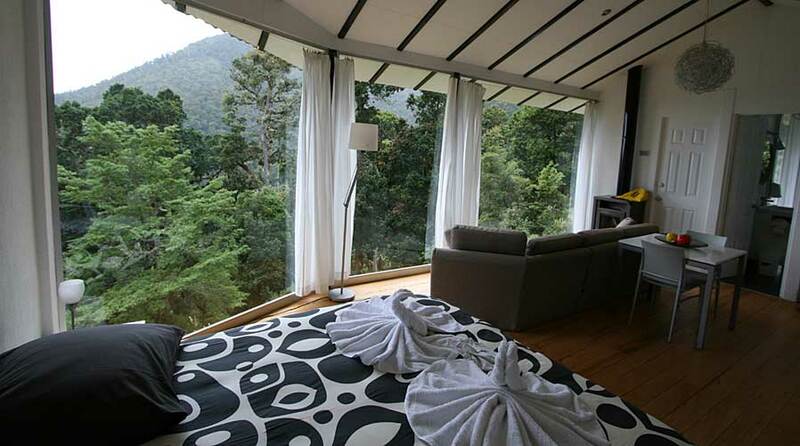 Beautiful views from your bedroom over primary cloud forest. A 5 hour walk from the 2nd highest peak in Costa Rica down into the cloudforest through 3 different vegetation zones. Romantic ethanol fireplaces in each room. Gallery with indigenous art and handicrafts. Under 10 free, 10-12 half price. 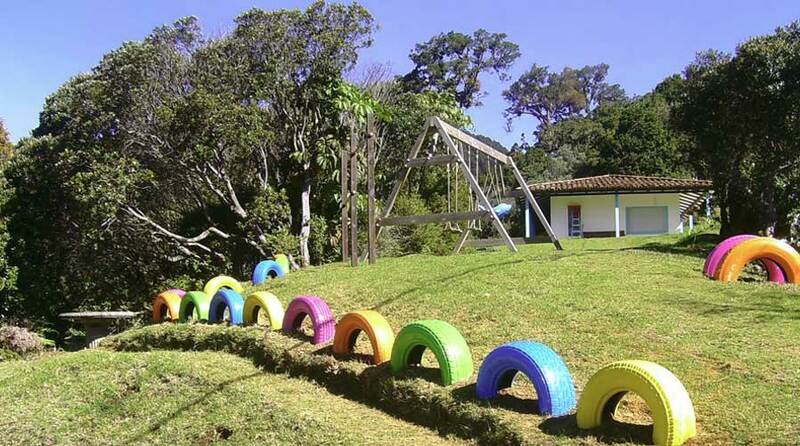 Playground for children. WIFI in all Bungalows, restaurant and reception area. Mobile phones of some provides work. The Lodge consists of 11 Bungalows with a modern interior design and decorated with typical aspects of the Latin American culture, distributed in 7 Superior bungalows, one Junior Suite, one Master Suite, one Standard Bungalow and a new Forest Bungalow, especially designed so you can enjoy contact with nature. All our hot water is solar heated.